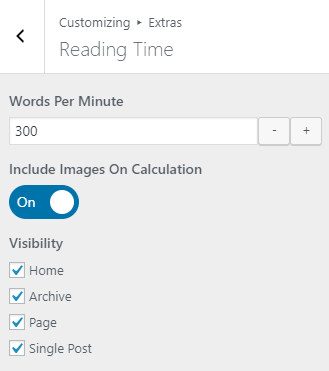 Reading Time feature will let you easily add an estimated reading time to your WordPress posts. 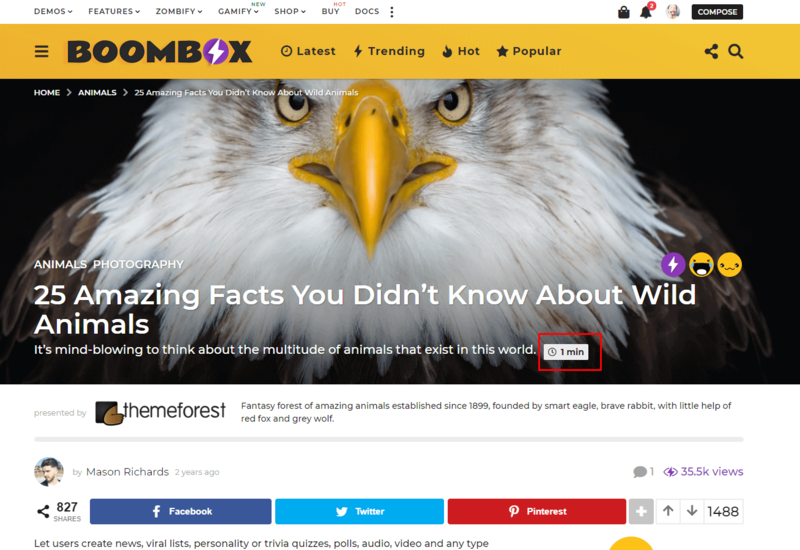 Activating of this feature will automatically add the reading time to the beginning of your post’s content. The estimate function is automatic; a custom value for a max count of the words that user can read per minute can be inserted using a “Words Per Minute” input field. The value for speed should be chosen between a span of 150 words per minute (slightly slower than average) to 300 words per minute (slightly higher than average). Beside that you can also Enable “Include images on calculation” switcher. That option will also include in the final estimation all the images watching time. 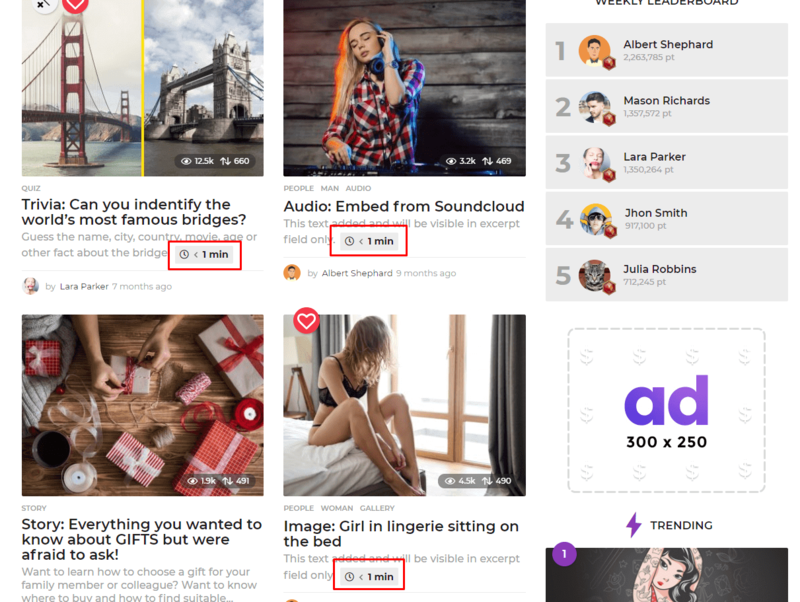 Also there you can choose where to show that feature: in the archive, page, home or single post.